It’s always fun to talk to a player who has spent a lot of time developing, playing, and perfecting one deck. Frank Singel is just such a player, and his deck of choice is an interesting one in a format where so many people are focused on playing many, many spells per turn: Lands. Lands, the deck, is based on the similar build from Legacy. Lands, the card type, have the benefit of being free and uncounterable, with the drawback of being able to play only one of them per turn. There are a lot of unique effects available on lands, and in Eternal formats, there are several ways to break the one-per-turn rule. Vintage adds Bazaar of Baghdad to the mix, allowing Lands players the opportunity to grind through their own deck to find their best answers against an opponent—think The Tabernacle at Pendrell Vale against Eldrazi or Bojuka Bog against Dredge. On top of that, Dark Depths and Thespian’s Stage provide a potential 20/20 flying, indestructible combo win. So the deck has some different looks depending on the cards it draws. At TSI Steveland, Frank finished 3-2 in the Swiss but won a play-in to the elimination rounds and won out from there. Part of his journey involved staving off Paradoxical Outcome three times, which seems remarkable for a deck that has so little turn-one interaction against that spell. We talk about that matchup quite a bit, and though Frank agrees there was some fortune involved, it’s not as bad as one might think. Permanents are pretty good, it turns out. If you’re interested in seeing how the Lands deck works, matches from the TSI are available on YouTube, with commentary and analysis from Andy Probasco and Jimmy McCarthy. Check out Lands versus Archon Oath in the swiss, Lands versus Archon Oath tiebreaker, and Lands versus Paradoxical Outcome in the finals. There’s also some discussion of the Banned and Restricted List, particularly regarding Mental Misstep and Fastbond. Mental Misstep plays a critical role in Lands as the protector of important one-drop spells, like Fastbond, and particularly Crop Rotation, which is an awkward two-for-one if it gets countered. So which would help Lands more: restricting Mental Misstep or unrestricting Fastbond? Full results of TSI Steveland are here on The Mana Drain. I (Nat) played against Lands at Eternal Weekend, piloted by Jody Keith. In the critical game three, I resolved an early Jace, the Mind Sculptor, and was hoping to ultimate that to win the game. I knew Jace wasn’t great against the Dark Depths combo, but Jody had multiple answers in play for my Oath, so Jace was currently my only hope. With Jace at nine counters, Jody final found both Dark Depths and Thespian’s Stage, so I was boarding the train for a loss. Except I had Time Vault in play. You can hear how things could have, should have, and did play out in the podcast. For reference, this is the picture of Nat that Frank sent to Jody while we were talking about the incident. Our discussion on holiday foods was interrupted at one point, but we still had obviously heated discussion. There were strong feelings on turkey, cranberry sauce, red cabbage, vegetable sides, leftovers, and, surprisingly, ravioli. Hidden in there was the point that you have to make turkey stuffing with the giblets, because the stuffing makes the turkey. In the discussion of various family holiday traditions Frank mentions that his family makes pretty delicious sounding ravioli with marinara for their gatherings. That sounded pretty awesome. Geoff and I only had spiced apple rings from a jar. What’s the greatest number of lands you’ve ever played in one turn? 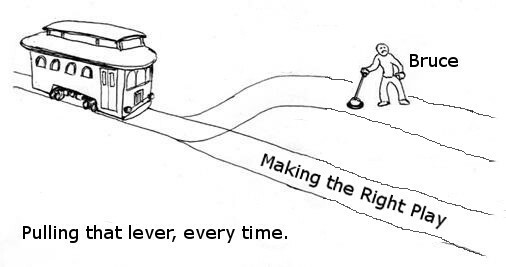 Have you ever seen the right line of play and just blatantly ignored it for no reason, like some messed up trolley problem? Do you put cranberry sauce on your leftover turkey sandwiches? Do people actually eat spiced apple rings? Really? Gross! Thanks for listening! 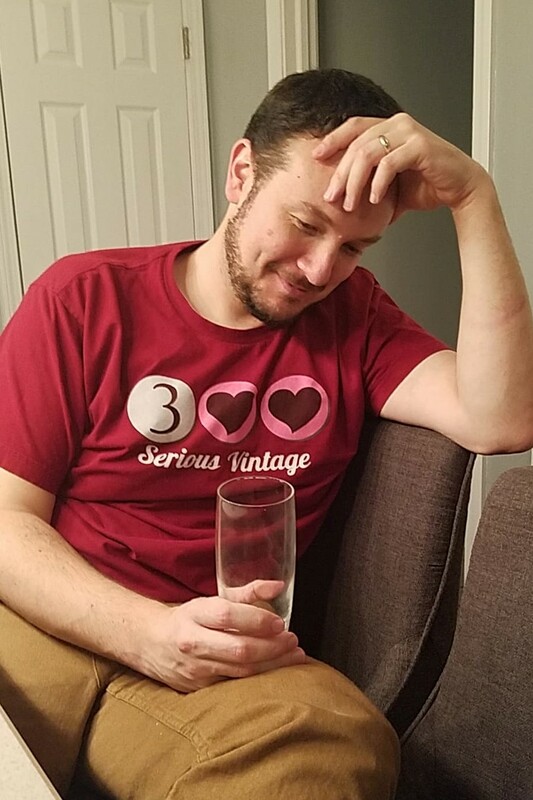 However you choose to eat and drink when you celebrate with friends and family, we here at Serious Vintage hope you have merry times. This will probably be our last episode in 2018, but we have some exciting stuff coming up next year. We’ll look forward to any questions or comments here or The Mana Drain or on Twitter. You can also email us at seriousvintagepodcast@gmail.com.